Novra Media’s James Butler Laments British Labour’s Failure to Read Perry Anderson and Tom Nairn. Latest Woke Book for Corbynistas. by Tom Rogan Washington Examiner. Speaking on Monday for a video on the pro-Jeremy Corbyn media site Novara Media, a Novara founder explained why socialism hasn’t found a natural base in British society. Not only this but this! Comrades were not slow to point to the errors in Cde Butler’s analysis. We, notably Kylie and George, have delved into the depths of the Nairn-Anderson thesis, that Britain “never had a successful bourgeois revolution”. This are some modest fruits of our research. There is, about them, the air of an inverted Podsnappery. But now the rôles are reversed. Mr. Podsnap (who has swelled to engross all British culture over the past 400 years) is being arraigned in his turn. Since that time many people have been influenced by the debates arising from François Furet’s Penser la Révolution Française (1978). Others, who have read the book (really a collection of essays) for themselves, see a critique of the ‘stage’ theory of bourgeois revolutions. That is the view that only a “proper” political Revolution,with some bloodshed (see Butler) on the model of 1789 can clear the way for a bourgeois society with its appropriate state. 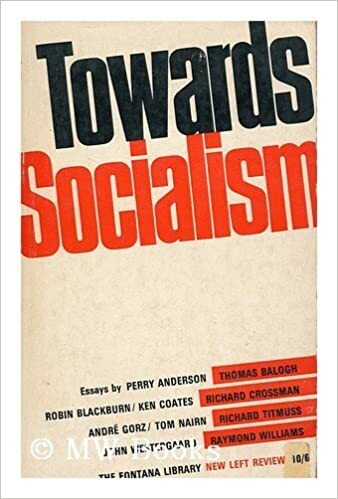 For Marxists the most striking aspect of his essays is that they pointed out, like Thompson, that there was not one model for the bourgeois revolution, or for the coming of bourgeois society. There is little doubt that Furet was inclined to hint that the Jacobins foreshadowed, in some way, the Bolsheviks. That the belief that they incarnated “popular sovereignty” and the ‘General Will’ (an object which has never been sighted in the flesh) and convinced of their own Virtue, had something in common with the belief that Lenin’s party embodied the progress of history and the will of the Proletariat. More broadly he signalled how the Jacobin version of direct democracy – restricted to ‘active citizens’ – facilitated their ‘machine’ open to the evocation of this General Will against dissent. Furet central point is that the terror and the hysterical fear of ‘aristocratic plots’ cannot be explained away by adverse ‘circumstances’, the need to defend France against foreign intervention, and domestic armed opposition. Whether the explanation for the repression, the Guillotine, and the ferocity of the revolutionaries, lies in proto-totalitarianism or in the historically far from unique paranoia of a state of siege, remains an issue for historians. Jacobin rule, the power of the original Commune de Paris, was overthrow with only token resistance. With a broken jaw a screaming and whimpering Robespierre was guillotined on 10 Thermidor (28th of July 1794). But to return to Anderson and Nairn. The characteristic conclusions of Anderson and Nairn follow from this short passage, which must seem strange to anyone who has been concerned with British political problems. For in their analysis, what Marx called ‘the most bourgeois of nations’ presents the paradoxical situation of a capitalist formation ‘typical’ in its origin and evolution, within which, however, the bourgeois class has almost never taken the ‘pure’ role of the hegemonic or dominant class. Because of its ‘aborted’ revolution between the 15th and 18th centuries, the bourgeois class did not succeed in changing the objective structures of the feudal state, and remained in practice a class politically dominated until its ‘absorption’ within a ‘power bloc’ belatedly formed by the landed aristocracy. The bourgeois class, having missed its vocation as the hegemonic class, did not succeed, as in France, in structuring a ‘coherent’ ideology of its own which could be the dominant ideology in this formation: the ruling ideology of English society as a whole was the ‘aristocratic’ ideology. The Nairn-Anderson theses, which sparked a wide-ranging and fruitful debate in particular with the historian E. P. Thompson, were elaborated in the 1960s and 1970s in the pages of the New Left Review. Their principal object was to explain the ‘origins of the present crisis’, at a time when Britain appeared to be unique among capitalist countries in its pattern of industrial decline. Some twenty years later, that debate was revived in a context of international crisis and restructuring of capital, which tended to mask any particularly British disorder. This was also a time when the dominant capitalist economy of the earlier period – the United States – began to reproduce the pattern of decline that once seemed peculiarly British. The powerful and influential Nairn-Anderson theses, constructed in the sixties to explain the British decline by tracing it to its historical roots, were called upon to defend not only their explanation of a specifically British disease but also the very notion of its specificity. At the same time, there has emerged a movement for constitutional reform in Britain, whose leading proponents (especially those associated with ‘Charter 88’) subscribe to something very much like the Nairn-Anderson thesis about the incompleteness of Britain’s bourgeois revolution and the immaturity of its bourgeois democracy. The original Nairn-Anderson theses rested on two principal assumptions: that the British decline was special and unique, and that these specific disorders were traceable to the priority, and consequent incompleteness, of capitalist development in Britain, where a fundamentally unchallenged early capitalism emerged under the auspices of a landed aristocracy instead of a triumphant urban bourgeoisie, lacking the complete sequence of bourgeois revolutions which on the Continent produced more ‘rational’, bourgeois states. This still agrarian and aristocratic capitalist class experienced no need completely to transform the social order and its cultural supports, while the immature bourgeoisie never seized hegemony over the process of ‘modernization’, leaving British industrial capital permanently dwarfed by more primitive commercial and financial forms of capital. An essential corollary of this thesis was that other, late-developing capitalist countries were not subject to the same disorders because they were more ‘modern’ and their bourgeois revolutions more complete. These major assumptions were later modified in various ways by each of the original authors. Perry Anderson argued in ‘The Figures of Descent’ that the British case may have prefigured a more universal pattern, already replicated in the United States and show­ing signs of ‘its ultimate generalization throughout the advanced capitalist world’. At the same time, he accepted the view, most boldly expressed by Arno Mayer, that the ‘ancien regime’persisted throughout Europe well into the twentieth century, implying that the ‘backwardness’ of Britain is not in itself so exceptional. Tom Nairn went even further than Anderson or Mayer in his claims for the persistence of the ancien regime in Europe. We may, he suggested in his remarkable book on the British monarchy, only now be ‘living in the first decades of true capitalist ascendancy’ – which he identifies with the triumph of an industrial bourgeoisie and the formation of a state to match. So Britain is apparently unique neither in its ‘backwardness’ nor even, perhaps, in the pattern of its crisis. Indeed, if Nairn in particular is right in postponing the definitive triumph of capitalism to the 1970s, his theses seem to be in need of substantial adjust­ments: the decade which, according to Nairn, saw the decisive victory of capitalism was also marked by the replication elsewhere of precisely those patterns that supposedly signal a peculiarly British disease – most notably in a capitalist country with none of Britain’s archaic residues. Perry Anderson’s ‘The Figures of Descent’ concludes by pointing to the signs that the British pattern may become universal through­out the advanced capitalist world. At the same time, he still regards the British instance as specific, in the nature, timing and scale of its decline as well as in the poverty of the instrumentalities available to British capitalism for reversing its industrial decadence. The question for him must be whether the original historical explanation can withstand the generalization of British ‘backwardness’ to include all the capitalist countries of Europe. The simple option of generalizing his British explanation, so that the universal ‘backwardness’ and uneven development of Europe is invoked to account for the general crisis, is clearly unacceptable to Anderson, not just because it leaves unexplained the American case, which so far has shown the most pronounced inclination to follow the British example, but also because there really are significant specificities in the British case which remain to be explained. Anderson stresses, for instance, the particular scale of British industry, the inclination to favour small-scale production of consumer goods over heavy industry, the resistance to the concentration and centralization of capital and production, and the disproportionate weight of Britain’s investment abroad. There remains, too, a particular cultural configuration which, as Ander­son has argued in the past, sets Britain apart from the general culture and intellectual life of Wes tern Europe, and which, accord­ing to Tom Nairn, has left Britain with a national identity defined by the archaic forms of the monarchy and pre-capitalist ideologies of class. If other capitalist economies are destined eventually to suffer a similar fate, and if the archaic remnants of Britain’s past must be situated in a larger context of European backwardness, Anderson seems to be suggesting, the particularities of the British decline can still be explained by the peculiarities of its ancien regime. While the Nairn-Anderson theses must be further specified to provide an explanation ‘at a lower level of individuation’ which spells out the specificities of the British ancien regime in contrast to other persis­tent antiquities, the original theses remain fundamentally intact, argues Anderson, vindicated in the court of history. Yet, these modifications aside, it is possible that two distinct theses have from the beginning competed for primacy in Anderson’s account of British history. Because the two theses tend to be interwoven in his work, the distinctions are not immediately evident; but it is possible to separate out the principal strands. Thesis 1 (which, on the whole, appears to be dominant) depicts a precocious capitalism and a ‘mediated’ bourgeois revolution, a capitalism stunted by its aristocratic and agrarian origins, the absence of a clear antagonism between bourgeoisie and aristocracy and the failure of the bourgeoisie to escape its subaltern position or to transform the state and the dominant culture. In contrast, Continental capitalisms benefited from more complete and unme­diated bourgeois revolutions, and from clear contradictions between bourgeoisie and aristocracy which issued in a decisive triumph of the bourgeoisie and its thorough transformation of archaic political and cultural superstructures. The relative failures of Britain and the successes of other capitalisms have to do with the premature and incomplete development of the former and the greater maturity of the latter. Thesis 2 (which could be, though it is not, detached from the dominant thesis and made to stand on its own, with some extrapolation) again begins with a precocious capitalism, but this time the critical factor is not the persistence of the ancien regime so much as the absence of obstacles to the development of this early and unchallenged capitalism. Here, the defects of contemporary British capitalism are ascribed to the advantages it derived from its head­start. It is not simply a matter of first to rise, first to decline, nor even a question of antiquated material infrastructures. The argument is rather that Britain’s early and unrivalled evolution as a capitalist power left it bereft of the means to reverse the decline once set in train, while other European capitalisms were, at least for a time, better equipped. Early English capitalism never faced the need to establish institutions and practices to enhance or accelerate development – for example, certain kinds of state intervention or administrative skills; and its slow and ‘natural’ industrial revolu­tion, unlike, say, the later German process of industrialization, generated no need for ‘the “bureaucratic” creation of a widespread, efficient system of technical education’. So have ‘the triumphs of the past become the bane of the present’. These two theses do, of course, overlap and are not entirely incompatible; but there are significant differences, not all of which can be reconciled. Thesis 2 (early leadership) can more easily accommodate the persistence of the ancien regime throughout Europe, but Thesis 1 (incomplete bourgeois revolution) could in principle survive the postponement or prolongation of Continental bourgeois revolutions. Thesis 2, however, can explain the replication of British patterns elsewhere, which Thesis 1 cannot. For example, in Thesis 2, although Britain would remain unique because of its early and unchallenged origins, other capitalisms, emerging later and attaining dominance in a more competitive setting, might still reproduce the effects of leadership, ‘trapped and burdened by its past successes’. The recent history of American capitalism illustrates how a period of dominance can eventually produce its own competitive disadvantages, not least because leaders can for a time make profits without developing productive forces. According to Thesis 2, the priority of British capitalism, its very early leadership, would still account for relatively greater disadvantages, and no later leadership could exactly reproduce the effects of earlier dominance; but in this version, the successes and failures of any capitalist economy have more to do with the conditions of competition than with the persistence of, or ruptures with, a pre-capitalist past. In other words, Thesis 2 could accept, as Thesis 1 cannot, that archaic forms are not necessarily incompatible with a dynamic capitalism -as the examples of Germany and Japan have so vividly demonstrated. The second thesis could even entertain the possi­bility that there may be circumstances in which the survival of archaic forms can promote, rather than impede, capitalist develop­ment -for instance, the availability of bureaucratic state-forms whose interventions can override the inherent contradictions of ‘pure’ capitalism, or the persistence of cultural forms that under­write the deference of workers. Indeed, the first successors of early English capitalism may more exactly fit the case of capitalist development conducted under ‘pre-modern’ auspices, as post­absolutist states responded to the competitive challenge and the example of English capitalism (sometimes also benefiting from the availability of English capital and technology). It was precisely in such cases more than in Britain that a dynamic capitalism could develop prematurely, in advance of fully ripe indigenous conditions and even adapting pre-capitalist relics to the needs of capitalist development. The two theses, to put it another way, differ in their underlying conceptions of capitalism: the first is predicated on an unambiguously progressive capitalism which, left to its natural logic, will always promote industrial advance and a ‘rational’ state; the other acknowledges the contradictions inherent in the system. The first must attribute failures to the incompleteness of capitalist development; the second can ascribe them to the inherent weaknesses of capitalism itself. It is worth adding that Thesis 2, the early-leadership thesis, is more compatible with arguments put forward by E.P. Thompson in the original debate, and less subject to his persuasive charge that Nairn-Anderson operated with an abstractly idealized model of a ‘Bourgeois Revolution’ drawn – somewhat tautologically – from the experience of Other Countries. Much of the discussion that follows here will be conducted against the background of the Nairn-Anderson theses, though not always in direct debate with them, sharing their basic premise that the priority of British capitalism provides a key to its current condition, and drawing on their insights about British history and culture, but not necessarily arriving at the same conclusions. One major point remains indisputable. Britain – or rather England – was the world’s first capitalist society, and its priority profoundly affected its future development. There can be little doubt that its specific course of development left British capitalism singularly ill-endowed to undertake the kind of restructuring, notably the concentration of capital and production, required in the later conditions of international competition. But these facts are susceptible to more than one interpretation. If English capitalism was the first, and hence also the only one to emerge, as it were, spontaneously and not in response to external competitive press­ures from more ‘modern’ states, it is undoubtedly true that this ‘organic’ evolution left archaic forms in place instead of sweeping them away in a series of revolutionary onslaughts. But it may also be true, and for the same reason, that capitalism was more deeply rooted and its laws of motion more firmly established here than elsewhere, transforming the substance while preserving old forms -new wine in old bottles. Is Britain, then, a peculiar capitalism or is it peculiarly capitalist? That question is no less significant for an understanding of capita­lism in general than for an interpretation of British history in particular. It makes a very great difference whether the flaws in the world’s first capitalism and its pattern of industrial decline are the weaknesses of immaturity and incompleteness, specific to a peculiar case of arrested development, or the inherent contradictions of the system itself. It may turn out that many of the qualities attributed to the incomplete development of British capitalism belong rather to capitalism as such, while the apparently more complete bourgeois revolutions elsewhere represent deeper continuities with a pre­capitalist past, and even that those continuities have sometimes benefited other European capitalisms. We may also find that, while Britain is indeed remarkable for its attachment to archaic forms and its tendency to revive – or even to invent- obsolete antiquities, and while these forms undoubtedly play an important ideological role, continuities with a pre-capitalist past are here more formal and symbolic than the structural continuities that connect other European states (without the symbolic trappings) to their ‘pre-modern’ antecedents. There are certain conventional hallmarks of modernity, associated with the bourgeois paradigm, which have been absent in Britain and present in its principal historic rivals – in particular the so-called ‘rational’ or ‘modem’ state, with corresponding traditions of political discourse and cultural forms. It will be argued here that the emergence of these hallmarks in Continental Europe did not signal the maturity of ‘bourgeois’ or capitalist forces but on the contrary reflected the continuing strength of pre-capitalist social property relations. In fact, the appearance of ideas commonly associated with the advent of the modern state – certain conceptions of indivisible sovereignty and nationhood, for instance – testify as much to the absence of ‘modernity’, and indeed the absence of a unified sovereignty and nationhood, as to their presence in reality. The principal case is France, which has given the world its domi­nant model of ‘bourgeois revolution’ and the birth of modernity. Conversely, what are taken to be the conventional signs of a ‘modern’ state and political culture were absent in England not because the English state was backward or because English capita­lism was deviant and immature. On the contrary, these absences signalled the presence of a well-developed capitalism and a state that was evolving in tandem with the capitalist economy. What England lacked in political discourse it possessed in historical reality. In Britain, then, there has been no fatal disjuncture between a capitalist economy and a political-cultural ancien regime suspended in time somewhere around 1688. On the contrary, the formation of state and dominant culture has been inextricably bound up with the development of capitalism, conforming all too well to its economic logic and internal contradictions. Britain may even be the most thoroughly capitalist culture in Europe.